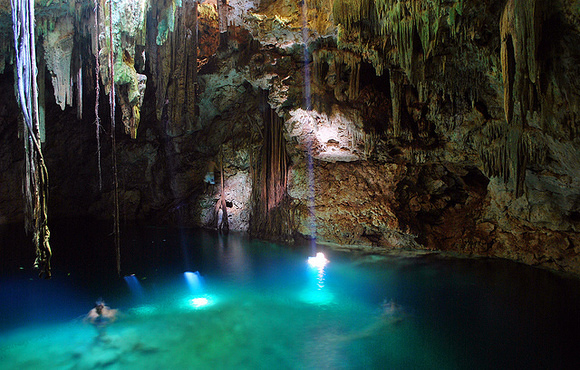 You can find the world famous cenotes on our doorstep. 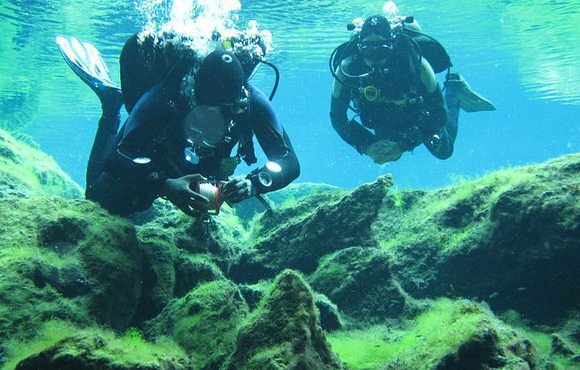 Naturally, we take the advantage and offer all diving related excursions to the caves and caverns. 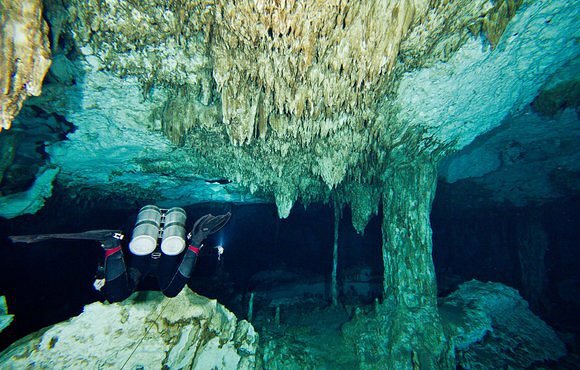 Open water trained divers can enjoy a first dive in a cenote in the cavern area never leaving the daylight zone always in small groups with individual service and a guide that is a highly experienced cave instructor. 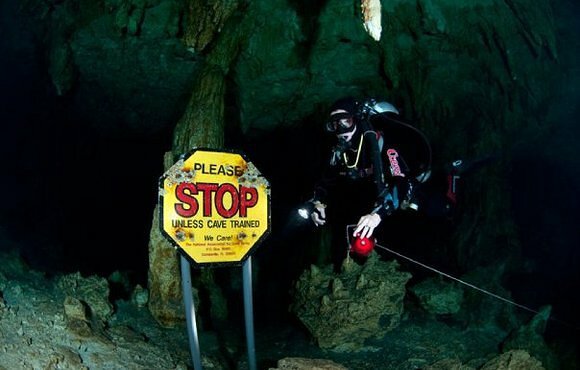 Cave divers come to cave divers paradise for just one purpose: to get as many days of cave diving in as possible. If you think you already have seen it all, come and let us surprise you by the beauty and variety of the Caves of the Riviera Maya. Ocean diving and high-quality courses in all levels round our service offer.